Purchase now and receive the digital copy immediately, for free! 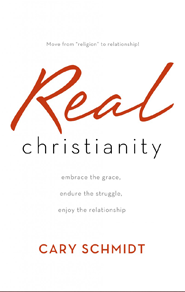 My friends at Striving Together Publications have announced the “pre-release” of the new book “Real Christianity.” The physical copy of the book ships on Monday, but you can purchase it starting today, and receive the digital copy immediately for free. Also, quantity discounts are available for the next several days. For more information about the pre-release offers or to purchase please CLICK HERE. I haven’t said much about this book on this blog, so allow me to share a little about it. It’s a 240+ page paperback book with four parts (13 chapters). The project began simply from a burden to help new Christians in my own church. I wanted to do more than disciple our growing Christians in a basic system of doctrine—though that’s vital. I longed to hand them a book that describes the relationship of walking with Jesus, and helps them combat the predictable ways that Satan stunts growth and discourages Christians from continuing forward. Real Christianity takes any Christian reader on a journey of discovering and relating to the PERSON of Jesus, not just the SYSTEM of belief about Jesus. You’ve heard of “systematic theology?” I would call this book “relational theology.” It’s written to both new believers and mature (but possibly discouraged) believers. It’s motive is to help someone grasp how the Christian life works relationally and how it can be enjoyed for the duration. For the new believers, it will preempt a lot of possible discouragement and disillusionment. For the long-time Christian, it will reorientate the heart to a grace relationship over a performance system. 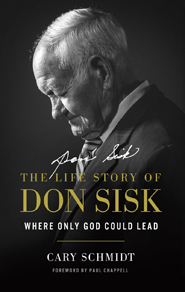 Either way, it is written to be an uplifting, encouraging look at the BEST NEWS EVER—the gospel and the grace of Jesus Christ. 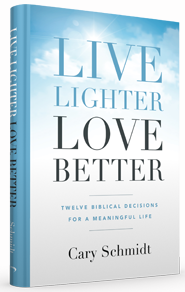 To put it simply—this is all the stuff I wish I knew earlier in my Christian life. It’s all the truth that still keeps me walking forward rather than quitting or giving up in despair. I prayed all through it’s writing that God would use it to help even a few Christians remain faithful to Jesus and enjoying in His grace. Over the course of my Christian life, I’ve met so many Christians who are not happy. They are discouraged, frustrated, and trying too hard. I’ve been that Christian. It’s not fun. Real Christianity was written to that Christian. The project began in study and sermon preparation a year ago—the series “It’s Not Complicated” was based on these truths. I took those same truths (and more), and wrote about them through the long, cold New England winter. 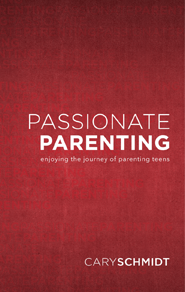 I pray this project will encourage you and those you love.